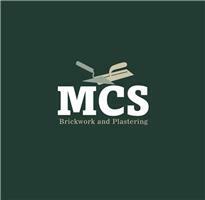 MCS Brickwork and Plastering - Builder, Driveways/Patios/Paths based in New Malden, Surrey. We are a small company based in New Malden specialising in Brickwork, extensions, patios and paths, Plastering/rendering and most general building works undertaken. The company first started out nearly 2 years ago, after working for companies, builders and even taking my skills to Australia bricklaying I felt the time was right and I had enough knowledge and experience to start my own business. Now with 10 years’ experience in the building trade I’m really starting to enjoy what I do. I take a lot of pride in my work and my attention to detail is second to none. All work and cleanliness is to a high and neat standard at all times, after each job is complete it is always a priority to ensure the customer is more than satisfied with the completed work. All over Surrey and South west London.